TUI Group reported today interim results for the first six months of its fiscal year, ending March 31 2015, including news regarding the Mein Schiff 1 and 2, which are heading to Thomson Cruises in the near future. 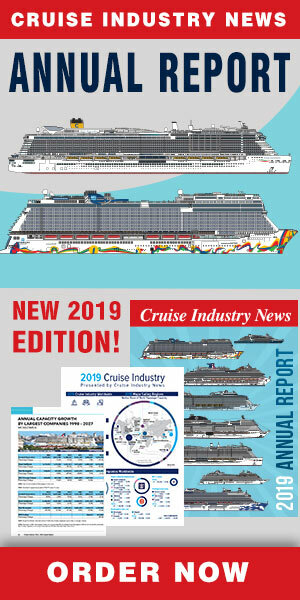 Cruise delivered a "significant increase" in profitability for the company, according to results. Hapag-Lloyd Kreuzfahrten delivered a significant turnaround based on an improved operating performance, said the company, while TUI Cruises continued to deliver growth with an improvement of €15m year on year following the successful launch of Mein Schiff 3. The report also stated: "In the framework of exercising our purchase option it was agreed that Mein Schiff 1 and Mein Schiff 2 will be moved to Thomson Cruises in the next few years in order to continue the modernisation of the UK cruise operations. These two steps will complete our growth and modernisation roadmap in the cruise segment." Thomson is already scheduled to get the Splendour of the Seas next spring, and will retire the Island Escape later this year.